The Surtex and Blue Print shows are now in full swing but I still have a few final last minute flyers to post. 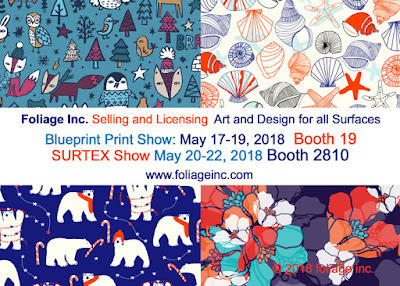 We start with Foliage inc. who were at Blue Print last week and can now be found today at Surtex in booth 2810. Above : Based in Park City, Utah, Grafiq Trafiq services paper, gift and textile markets with modern and whimsical patterns and illustrations. 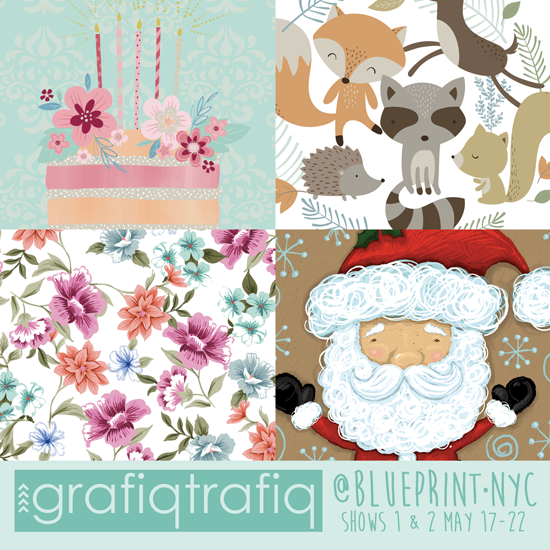 They can be found this week at Blue Print Show 2. 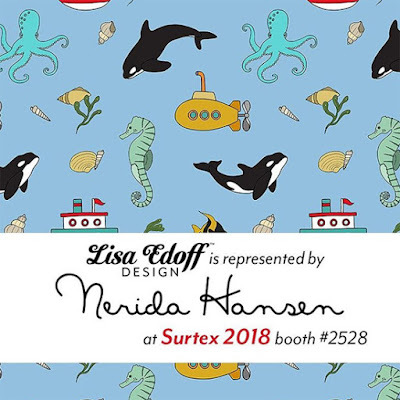 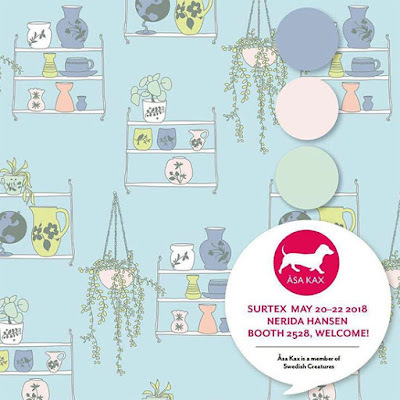 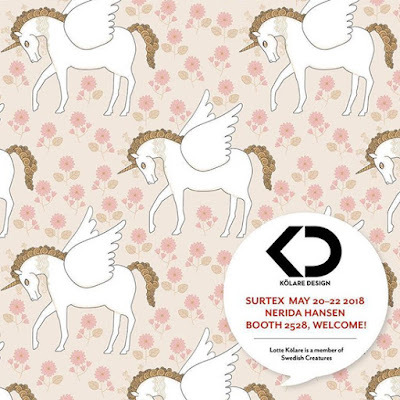 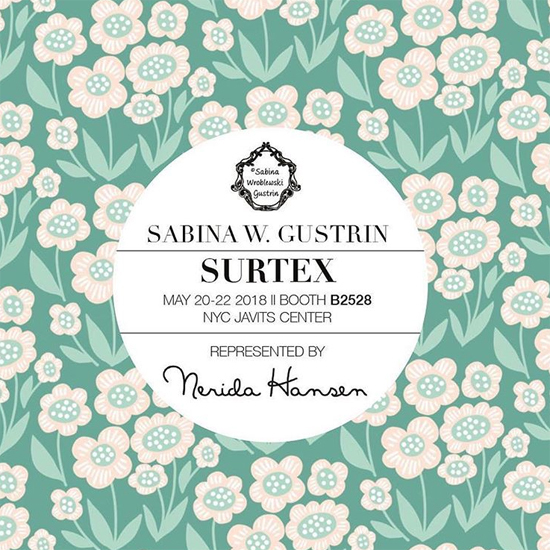 Above and below : Swedish Creatures designers Kajsa, Kristina, Lotte, Sabina and Åsa are represented in NYC this May by Nerida Hansen Print & Textiles. 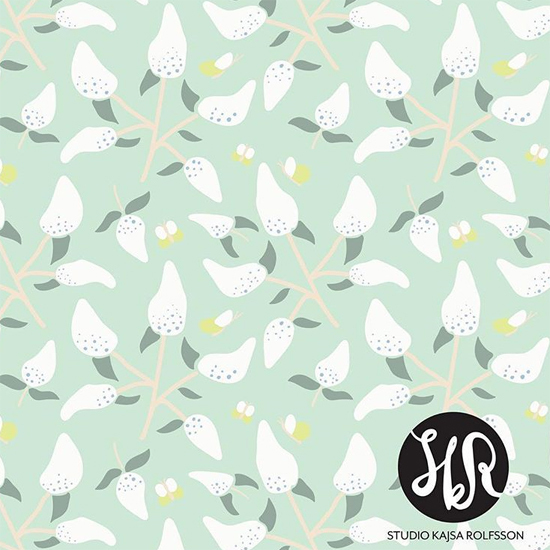 They have been really busy this semester and have designed more than 300 patterns. All of them coloured in the trend colors for S/S 2019 with personal tweaks by each designer. 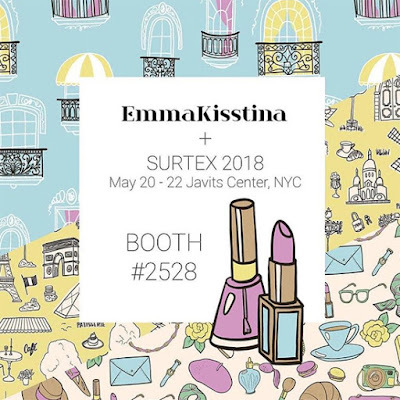 Enjoy their colour bonanza at Surtex this week in booth 2526.